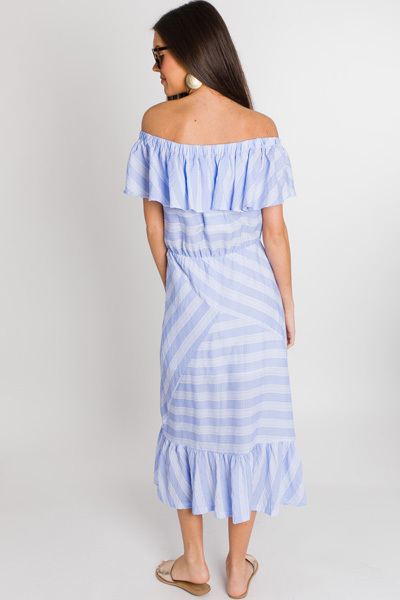 Getting dressed will be a breeze when you choose they sweet, striped maxi! 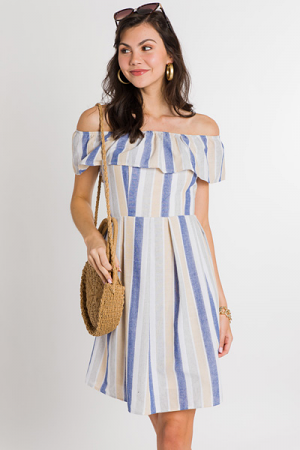 The off the shoulder + ruffle design and asymmetric stripes have got to be the cutest little details. Dress is made from a breezy rayon cotton-blend, and is lined. Elastic at neck and waist. Shoulder to hem measures approximately: S- 46" M- 46.5" L- 47"